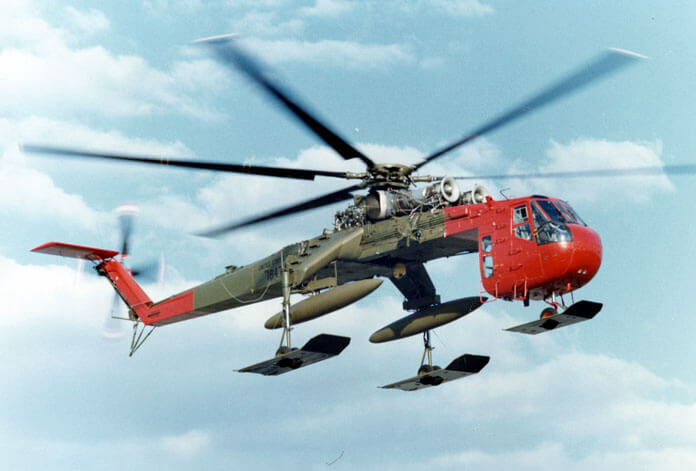 The H-3 first flew in 1959 (as the YHSS-2), designed as a combined hunter-killer anti-submarine helicopter. 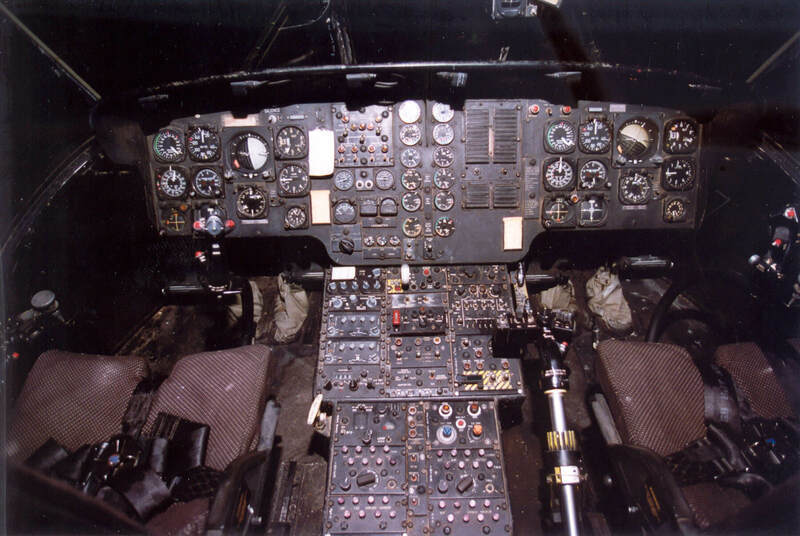 It has subsequently been developed for a number of utility roles, including Presidential transport, and was made famous in the Vietnam war as the “Jolly Green Giant” rescuing downed pilots. It has been produced under licence in Canada, Japan, Italy and England. 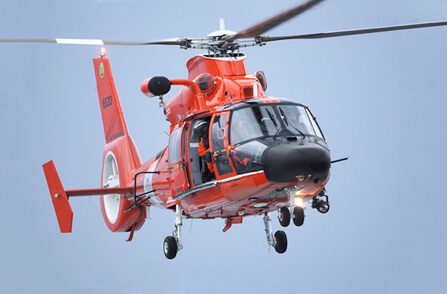 This title contains three flight manuals for the Sikorsky Sea King series. 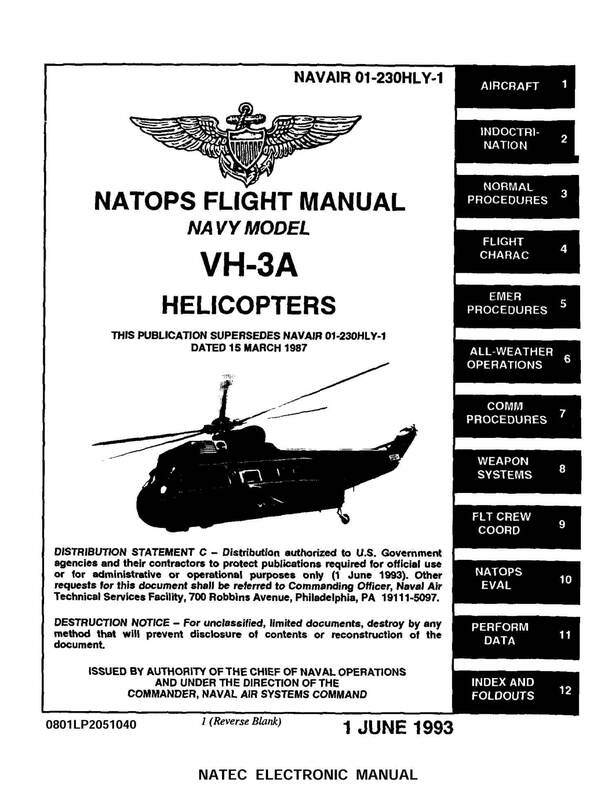 US Navy NATOPS Flight Manual for the VH-3A, NAVAIR 01-230HLY-1 dated 1-6-93, with approx 489 pages. 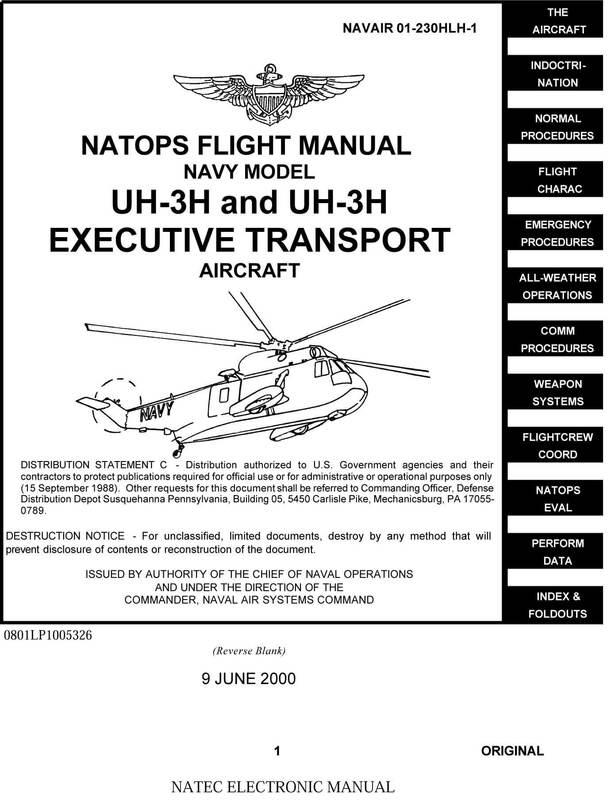 US Navy NATOPS Flight Manual for the UH-3H and UH-3H Executive Transport, NAVAIR 01-230HLH-1 dated 9-6-00, with approx 613 pages. 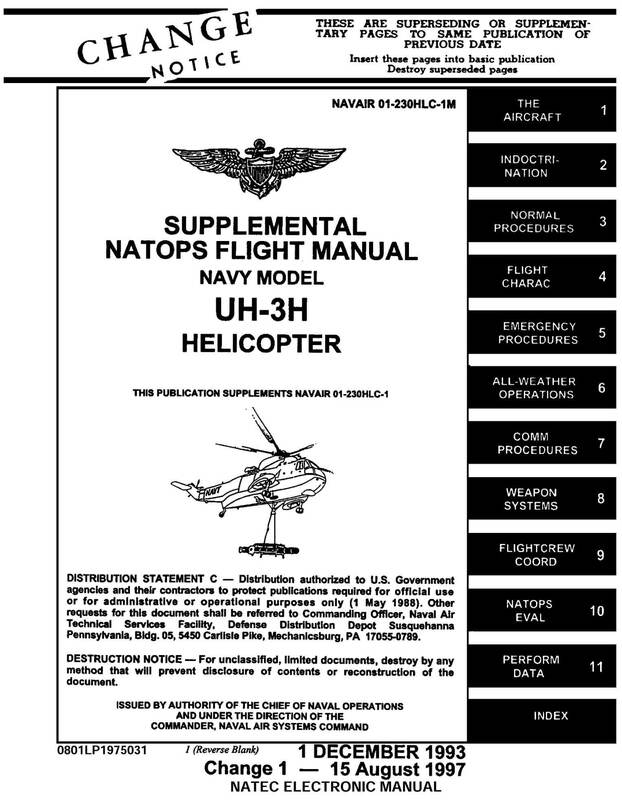 US Navy NATOPS Supplemental Flight Manual for the UH-3H, NAVAIR 01-230HLC-1M dated 1-12-93 revised to 15-8-97, with approx 124 pages. This supplement covers external load operations at weapon testing ranges.